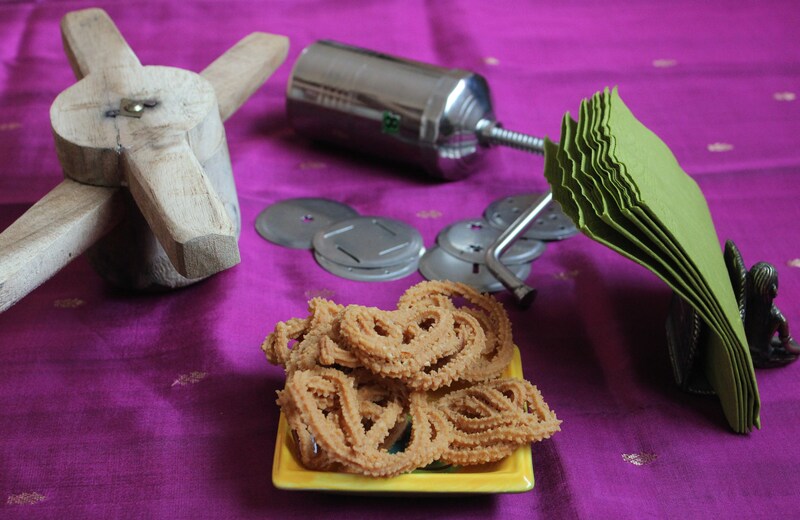 Murukkus come in different shapes and tastes (https://dosaikal.com/the-all-time-favourite-murukku/). So does the Murukku Maker. 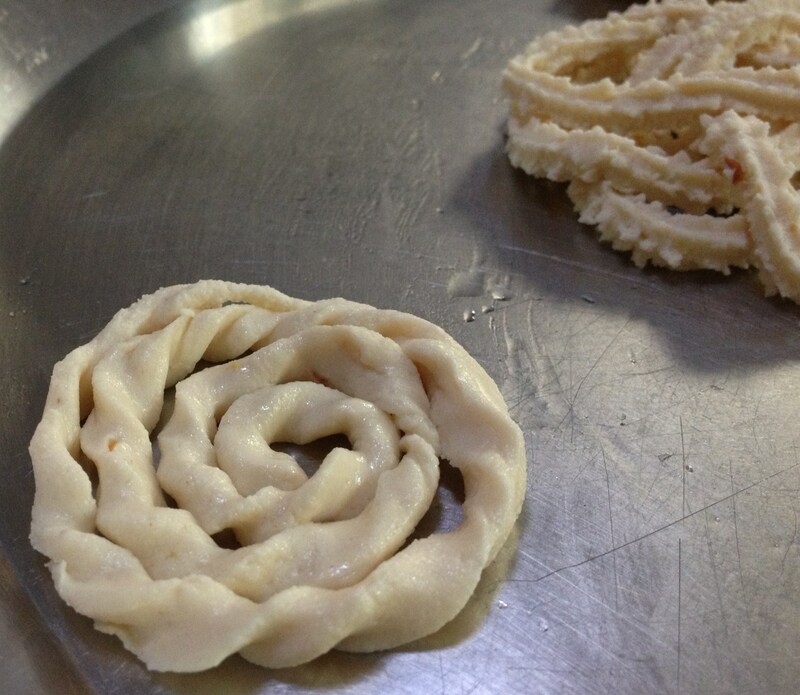 This time, I got a new one – easier one to make murukkus from Chennai. Here, in Phnom Penh, finely ground rice flour is not available. When craving overpowers non-availablity, innovation in kitchen begins! Those days when they were no electric equipments to grind, no public mills to mill fine powder, self sufficient households made their murukkus from different sources. 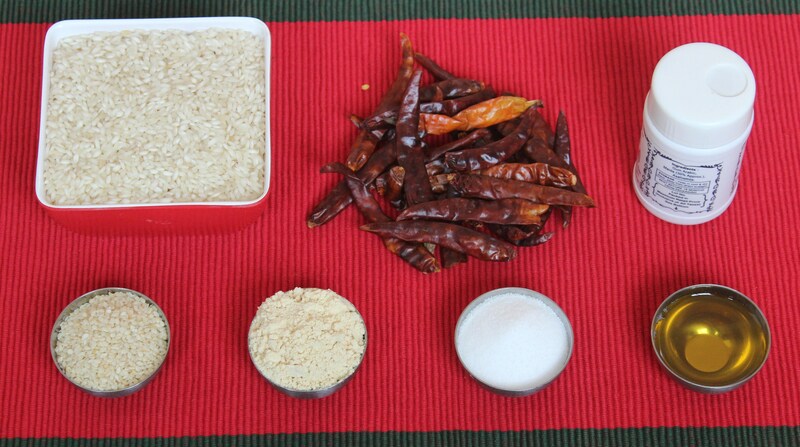 One was this… soaking rice and grinding to fine paste/dough. Even now, there are many villages where the traditional ‘Aattural’ is still used for grinding purposes – Idli/Dosa Batter, Vadai (Crispy salted doughnuts with dehusked black gram) or murukku maavu and many more. 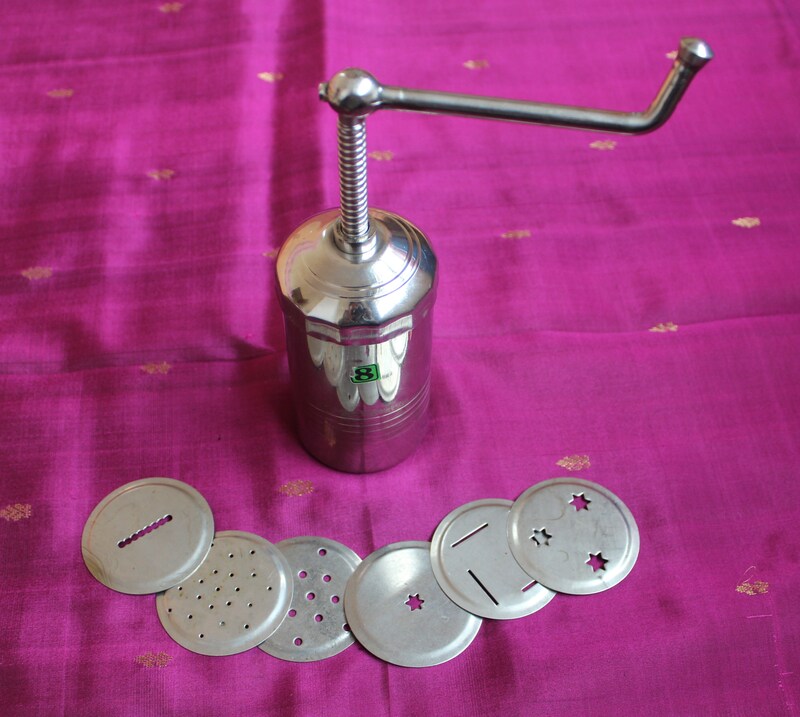 Aattural – Aattuthal or Aattu comes in place of araithal which in tamil means to grind and ‘ural’ is the grinder. That is why, I searched for a Murukku without rice or floured dehusked black gram or a murukku with other substitute ingredients, but the end result should be a feast to teeth. 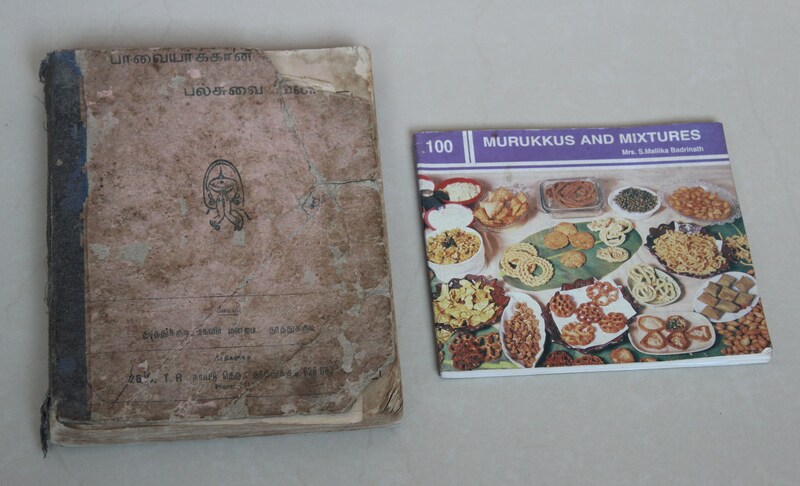 I pulled out my almost twenty year old cook book from Thoothukudi – which has various native recipes as well as those popular around the world. Next, I referred Mrs. Mallika Badrinath’s Murukku book and concluded on this one. It is actually the recipe for ribbin pakoda, another crispy chips in shape of small ribbons – hence the name. I altered the amount of bengal gram flour as the first set came out a bit hard. 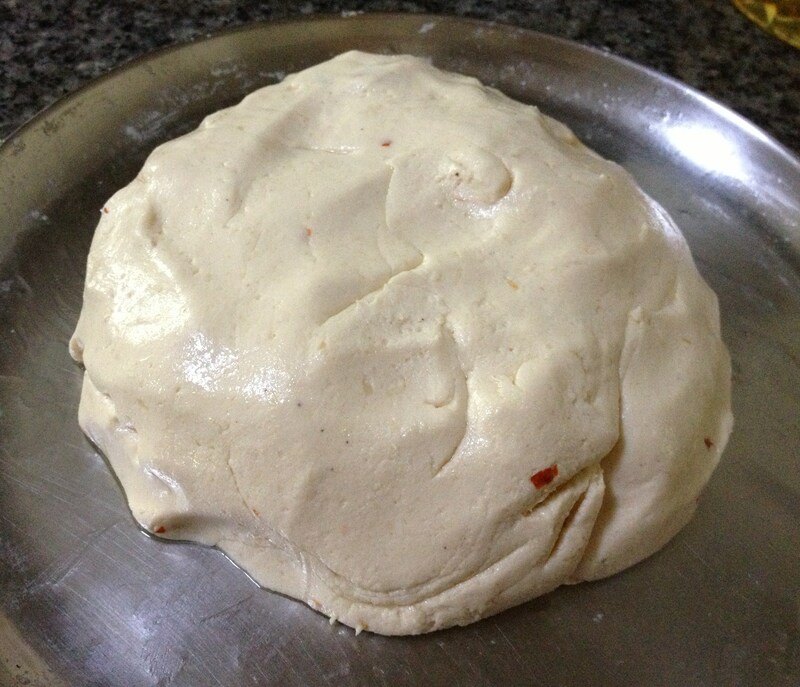 So, here is Araithu Chutta Murukku.. thanks to my Grinder – could get a smooth dough. 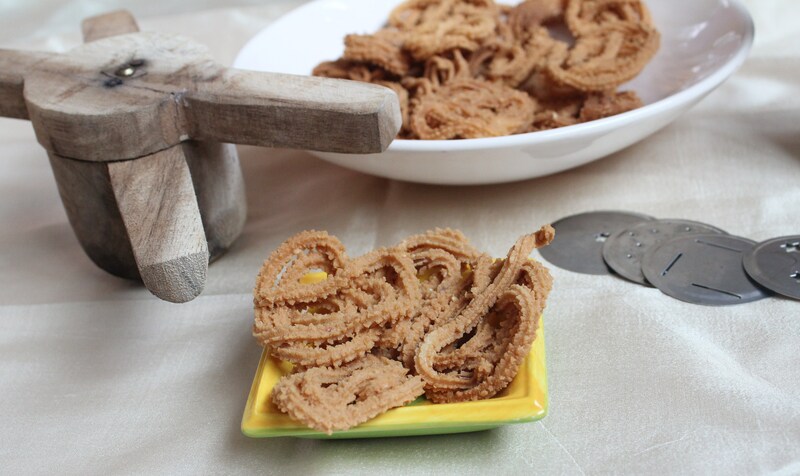 The original Araithu chutta murukku has ground rice with dehusked black gram flour. It is also called ‘Puzhungal Arisi Murukku’ – Par-boiled Rice Murukku. To reduce the work of dry grinding ulundham paruppu/urad dal/dehusked black gram flour at home, I stuck to bengal gram flour. That’s why I named Murukku -1. Next time, I shall make with dry grinded black gram! When I spoke to aachi the other day, she mentioned of adding powdered pottu kadalai/chutney dhal instead of bengal gram flour. I just wanted to give way for Araithu Chutta Murukku 2 and 3 to follow in future! The Murukkus had the flavour and taste and crisp too, though I would not rate them as perfectly crisp. When they are at room temperature, store in air tight container.